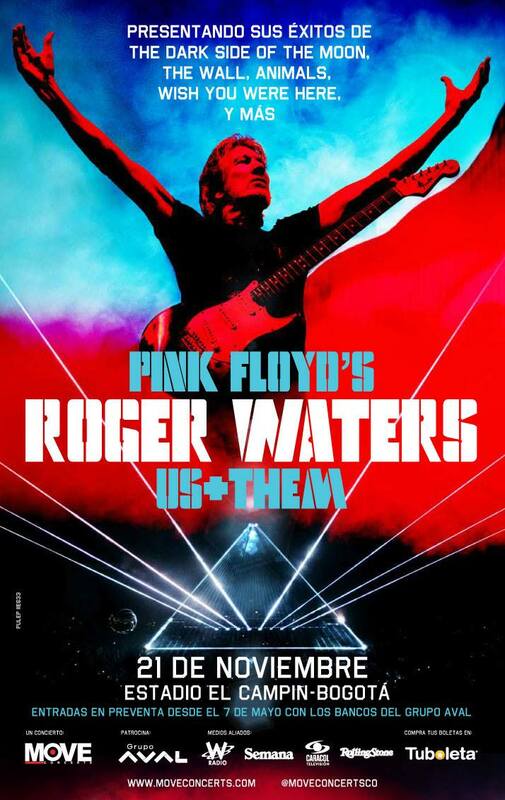 Colombia - we've got some great news for you as the weekend starts - just announced is a show in Bogotá as part of the Roger Waters 2018 Us + Them tour, with tickets going on sale soon. That's over 90 shows that Roger is currently scheduled to perform this year! The regular sale of tickets starts Thursday May 10th, via tuboleta.com or the direct links below [click 'TICKETS'].